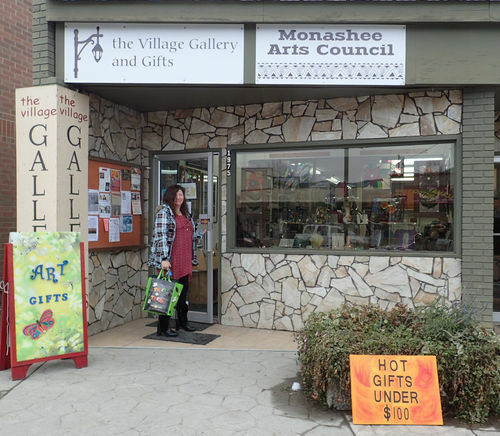 Nestled at the foot of the Monashee Mountains on the edge of the North Okanagan, the Village Gallery in Lumby offers an amazing selection of local arts and crafts, gifts and souvenirs for every budget. Located at 1975 Vernon Street, Lumby. 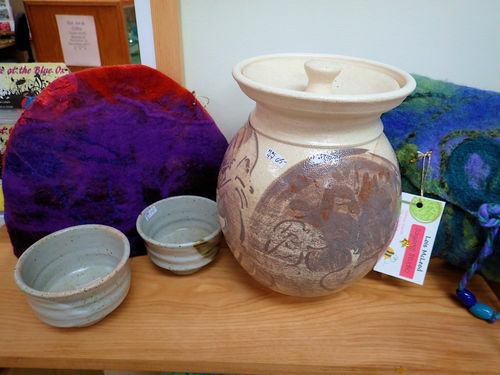 Operated by the Lumby Arts Co-op, a group of local artisans, the Village Gallery gives tourists and residents a chance to meet the artists they are interested in. 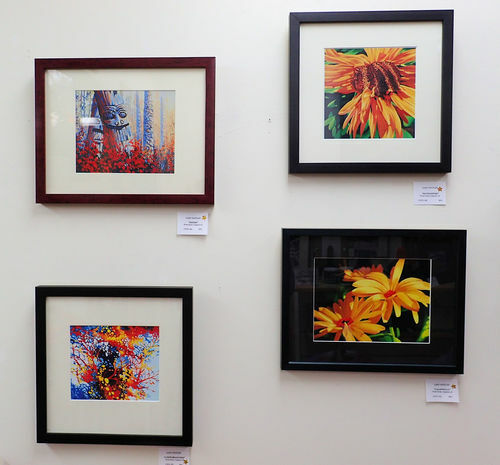 This display of prints from Gary Whitley's original oils are beautifully framed and well within the budget. Part of our Hot Art under $100 event. Several fibre Artists are represented in the Gallery. 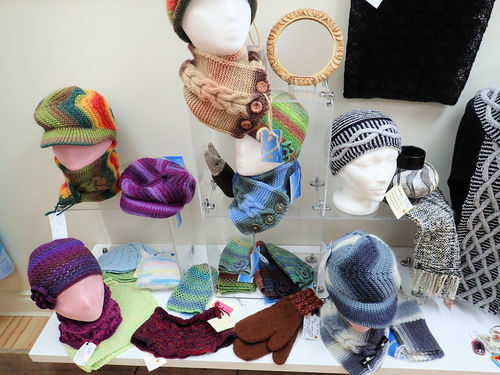 Felted, knitted, woven, crocheted, and sewn items grace the walls. 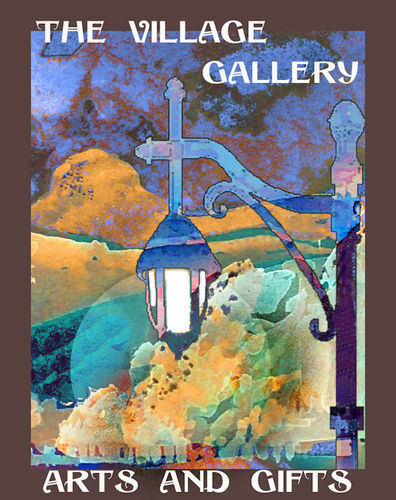 members volunteer to run the Gallery and show for a reduced commission.